2) A new window will pop open with a list of cases needing assignment. 3) Copy this report and paste into in All Staff Email. 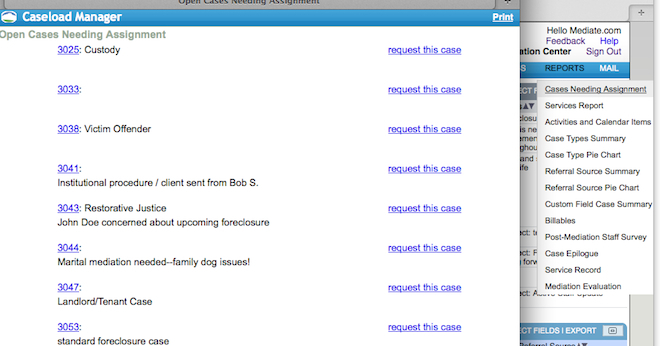 Send out to your staff (you can do this via Mail Manager) and wait for your mediators to begin requesting cases. The admin for the account will receive notifications that people are requesting cases.